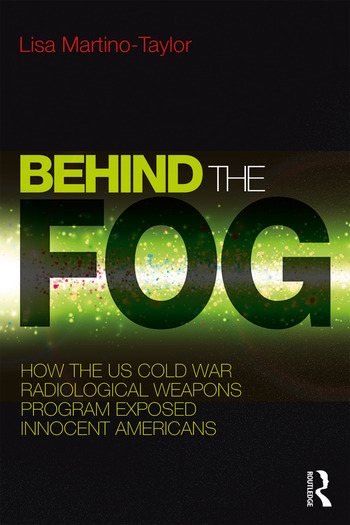 Behind the Fog is the first in-depth, comprehensive examination of the United States’ Cold War radiological weapons program. The book examines controversial military-sponsored studies and field trials using radioactive "simulants" that exposed American civilians to radiation and other hazardous substances without their knowledge or consent during the Cold War. Although Western biological and chemical weapons programs have been analyzed by a number of scholars, Behind the Fog is a strong departure from the rest in that the United States radiological weapons program has been generally unknown to the public. Martino-Taylor documents the coordinated efforts of a small group of military scientists who advanced a four-pronged secret program of human-subject radiation studies that targeted unsuspecting Americans for Cold War military purposes. Officials enabled such projects to advance through the layering of secrecy, by embedding classified studies in other studies, and through outright deception. Agency and academic partnerships advanced, supported, and concealed the studies from the public at large who ultimately served as unwitting test subjects. Martino-Taylor’s comprehensive research illuminates a dark chapter of government secrecy, the military-industrial-academic complex, and large-scale organizational deviance in American history. In its critical approach, Behind the Fog effectively examines the mechanisms that allow large-scale elite deviance to take place in modern society. Lisa Martino-Taylor is Associate Professor of Sociology at St. Louis Community College. Martino-Taylor earned her doctorate in Sociology at the University of Missouri–Columbia and researches issues related to power, elite deviance, social and environmental justice, and U.S. military development and testing of radiological weapons.